Annie Rebecca Luster was born on April 18, 1933 to the parents Eddie Joe Luster and Lottie Roundtree Luster. Growing up, Annie was affectionately called “Mama” by her four brothers and four sisters, of which she was the eldest daughter. Annie Rebecca was a lifelong resident of Perry, GA, and attended Houston County Schools. 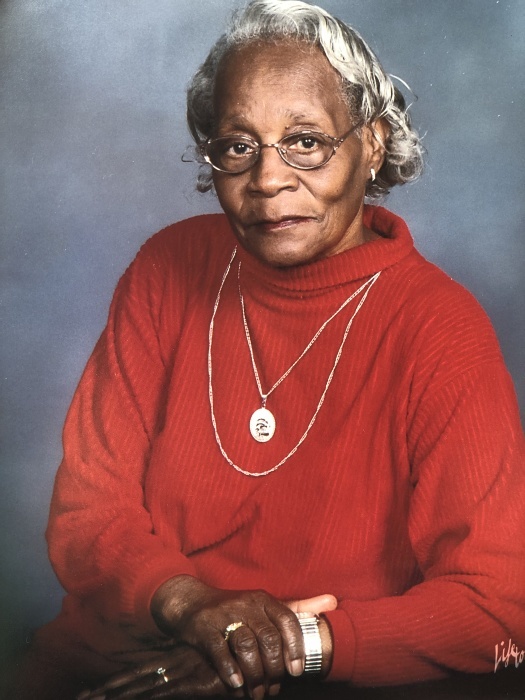 Annie Rebecca accepted Christ at an early age and was a lifelong member of Greater Union Baptist Church, where she served faithfully on the kitchen committee for several years. God blessed Annie Rebecca with amazing culinary skills that she used while working for New Perry Hotel in the kitchen for over 40 years. Annie Rebecca also served at First Baptist Church of Perry in the kitchen for almost 20 years, and as a housekeeper for Ed and Susan Varner for twenty plus years. She is preceded in death by her father and mother, Eddie Joe Luster and Lottie Roundtree Luster; brothers: Charlie Luster, Asri Luster, Eddie Luster, Henry Wellon; sisters: Carrie Mae Ridley, Joann Stokes, and Alberta Jones. She leaves to cherish her loving memory, one daughter: Linda Sullivan of Fort Valley, GA; two sons: Oliver (Patricia) Luster of Macon, GA; and Jimmy Luster of Perry, GA; four grandchildren: Andra Sullivan (Tabitha Taylor) of Perry, GA, Reneshi Dixon of Macon, GA, April S. Mitchell, and Albert Cameron Sullivan, both of Fort Valley, GA; four great-grandchildren: Nyla Sullivan, and Nathan Sullivan, both of Perry, GA; Brice Dixon and Brianna Dixon, both of Macon, GA; one sister: Essie Keen of Perry, GA; one sister-in-law Christine Luster of Sanford, FL; god daughters Min. Geraldine Green, Jane Jackson, Lillie Hamilton, Viola Sykes, Delphine Hamilton, Julie Hamilton and lifelong friends, Linda Anderson, and Sally Williams.